Home Chennai Game for Rugby? Ahead of the Asian Rugby Development Sevens tournament, a look atA� the countrya��s position in the game. 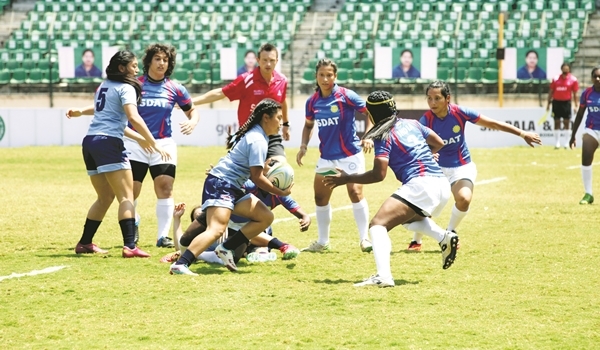 ASIA Rugby and Rugby India have given Chennai the opportunity to host the Asia Rugby Development Sevens tournament this year. The last time the city saw some major rugby action was when it conducted the pre-qualifiers for the Olympics last year. a�?This year it is bigger with 14 countries participating,a�? shares Sendhil Thyagarajan, secretary of South India Rugby Association. a�?This is this first leg of the two-tournament series, the second of which will be held in Dubai later this month,a�? Thyagarajan adds. Considering that the next Rugby World Cup (2019) is in Japan, which will also host the 2020 Olympics, plenty of action awaits. But first, Sendhil shares some interesting trivia before you head to the Jawaharlal Nehru Stadium this weekend. ?A�A� Rugbya��s Indian roots go back to 1872, when the East India Company first introduced the game at the Calcutta Cricket and Football Club. ?A�A� The Calcutta Cup is one of the oldest rugby tournaments in the country since 1879. ?A�A� Both our men and womena��s team were runners-up in the Olympic pre-qualifier tournament last year. ?A�A� Tamil Nadu beat Haryana to bag the bronze in the National Championship this month. ?A�A� The top three promising players, Uday Chandra, A Venkatesh and Saran Raj, are from Tamil Nadu. ?A�A� While rugby in Orissa and Bengal thrive thanks to their history, players in Tamil Nadu are successful because of their more powerful physique. ?A�A� India ranks between 6-8 in Asia, but is 62nd in the world.